Are you on Facebook? I know that’s a lame question because everyone is on Facebook. 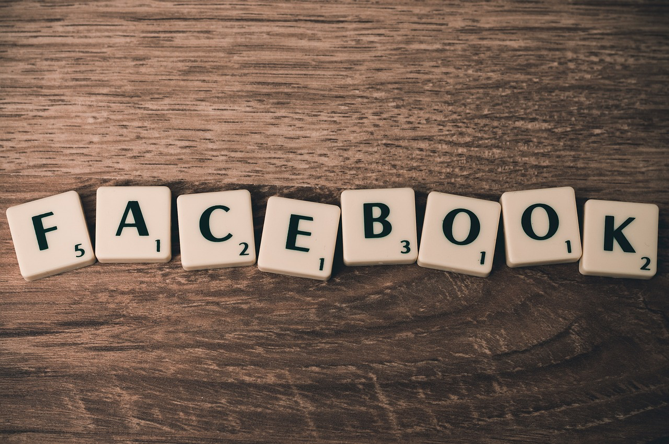 Facebook is the most popular social media platform with over 2 billion active users and that’s a way more than any other platform. Whenever anyone talks about social media the first name that strikes the mind is none other than Facebook. Business people understand that the value of Facebook and sp over 50 million businesses use Facebook pages. Isn’t that huge? Though we look at Facebook as a mere social media platform marketers have a different perspective because they know where their customers are. With the last Facebook update, the users will see more of the non-business content and almost no business content. This update has almost crushed the organic reach for businesses and so more and more people have started to leverage Facebook ads. No Organic Reach- As mentioned above, you can not rely upon the organic reach to touch the right chords. Facebook ads have to be a part of your Facebook marketing strategy. Your Audience is there- How can you ignore Facebook when you know that your customers are hanging out there? No matter what your niche is, there are plenty of your ideal audience on Facebook, go grab them. Highly Targeted Audience- The best part of Facebook ads is that it allows you to showcase your ads in front of a highly targeted audience. CTA- With a plenty of options to customize your CTA, with Facebook ads you can get more than enough leads. What else would any marketer wish? So, if you are still not leveraging Facebook ads, buckle it up and deep dive into it. And this guide will help you to create successful Facebook ads. Define your Niche- An ad should be highly specific in terms of the niche. Be specific about your niche and what industry is your business dealing in. Define your Targeted Audience– Your ads can’t win unless you know who your targeted audience is. Define your targeted audience, it can be based on several demographics like location, language, gender, etc. Spy on your Competitors- Your competitors will be your primary source of information. Information like what does your targeted audience like? Or What type of CTAs work the best for your industry? Spying is not very easy but a tool like PowerAdSpy can help you to excel in it. Just join hands with ad copy tool poweradspy.io. Now that you have collected all the initial keys, its time to either hire a professional marketing expert with high charges or move with use further to create the winning ads for your business on Facebook. How much does your product or service charge? How much do you target to sell? What is the present conversion rate? Once you answer all the above questions, you will get a clear vision of how much products do you need to sell and how much clicks would be needed for that. And on the basis of it, you need to define your daily budget. Apart from the daily budget, you also need to set a lifetime budget. Lifetime budget is the total money that you are ready to spend on the Facebook ads. You need to create a Facebook page before launching your ads. Why? Because Facebook only allows the pages to operate ads. Strange but true. Go to “Create Page Site” and choose your type and then pick a category. After that add name, images, links and other information. And finally, create a Facebook page. As simple as that! On your Facebook page, select the promote and then from the drop-down menu click “Go to Ads Manager”. The Ads manager is your personal dashboard, from where you create, manage or even delete your Facebook ads. From the dashboard, select “Create Campaigns”. After you select it, Facebook will ask you to choose the objectives for your campaign. It provides a list of several options. Choose the one the fits your business the best. Now after choosing it, provide the further information like if you have chosen “send people to your website”, it will ask you for the URL, add it and you’re done. Now that you’ve provided all the basic information, you need to create your ad set. This part is basically about your targeted audience. It includes the size, the preferred demographics, etc. You need to be specific here because this is how your ads are going to be operated. You need to tell Facebook about your needs and audience so that your ads could perform the best. As you are just getting started, start with little and don’t go too much. It’s time for you to experiment and understand what works and what not. So, here comes the fun part. It’s time to design your ad layout. Try to keep it simple, add the text, headings, images, carousels, etc. Your headshots have to be engaging enough. Keep it simple because adding more and more stuff can confuse your audience. Be specific with the CTA. You will find many people saying that Facebook ads are dead or it is of no use. The only reason behind such mindsets is that they fail to create a successful Facebook ad. So, in order to create winning ads, you need to be better than the others. All the best! Shweta is a freelance content writer and strategist. She loves helping new startups and small businesses create their content marketing strategy and write their blogs. As the founder of Exploring Startups, Shweta helps startups by sharing useful tips and inspirational startup stories. She also gives content creation and marketing tips on her blog, Up The Reach.